The Hon'ble the Political "Resident in the Persian Gulf Historically used by the British to refer to the sea area between the Arabian Peninsula and Iran. Often referred to as The Gulf or the Arabian Gulf. . 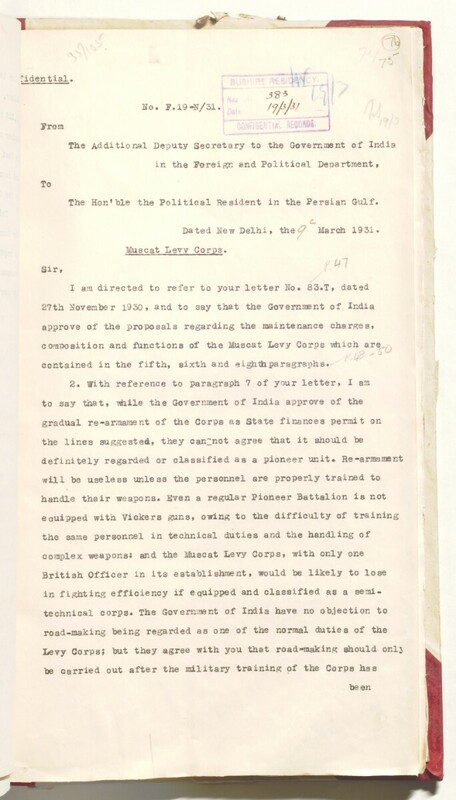 Dated New Delhi f the * March 1931.
contained in the fifth, sixth and eighUiparagraphs.